Deric Ruttan was raised just outside Bracebridge, Ontario, on land where his great grandfather made moonshine in the 1930’s. It was the perfect backdrop for the singer/songwriter, who grew up listening to everything from CCR to Gordon Lightfoot to Johnny Cash. After touring with several country bar bands, Deric moved to Nashville, where his unique outlook and delivery attracted the attention and praise of songwriters Don Schlitz, Steve Earle, and Steve Bogard. Deric has had over 60 songs recorded, including cuts by Dierks Bentley, Eric Church, Blake Shelton, Jason Aldean, and Justin Moore, to name a few. 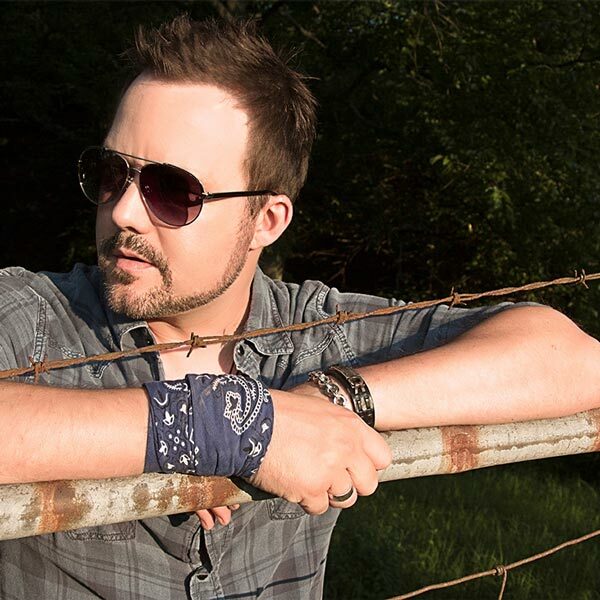 Bentley’s chart-toppers “What Was I Thinkin’”, (Billboard #1), and “Lot Of Leavin’ Left To Do” were co-written by Ruttan, as are the Eric Church hits, “Guys Like Me” and “Hell On The Heart”. Since signing with THiS Music/Warner Chappell, Deric’s songwriting star has continued to rise. In November 2013, he celebrated his first multi-week #1 with the song “Mine Would Be You”, recorded by country superstar and The Voice judge Blake Shelton. “Mine Would Be You” was also nominated for a Grammy and an ACM Award for Song Of The Year. Deric quickly followed that hit with another #1 single “Came Here To Forget” also recorded by Blake Shelton. He then celebrated the Top 10 hit “Nights On Fire” recorded by David Nail and the Jason Aldean #1 single “Any Ol’ Barstool”. In his native Canada, Deric has written hits for Canadian stars Terri Clark, Paul Brandt, Doc Walker and Jason Blaine, among others. An ASCAP, SOCAN, and CCMA (Canadian Country Music Association) award winner, Deric regularly tours in Canada, where he has had 10 Top 10 singles as an artist, including the #3 most performed Canadian Country single in Billboard chart history “When You Come Around”.